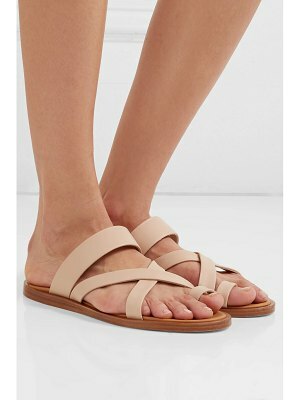 Jimmy Choo vachetta leather sandal. Available in multiple colors. 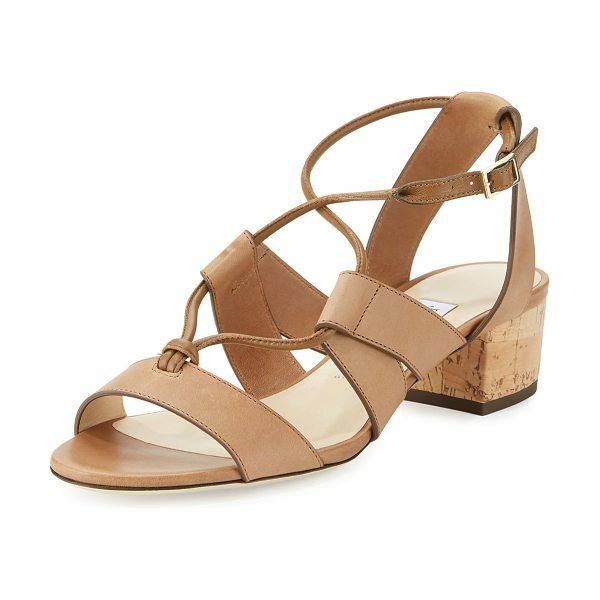 1.5" cork block heel. Open toe. Crisscross vamp. Adjustable ankle strap. Leather lining and sole. "Margo" is made in Italy.